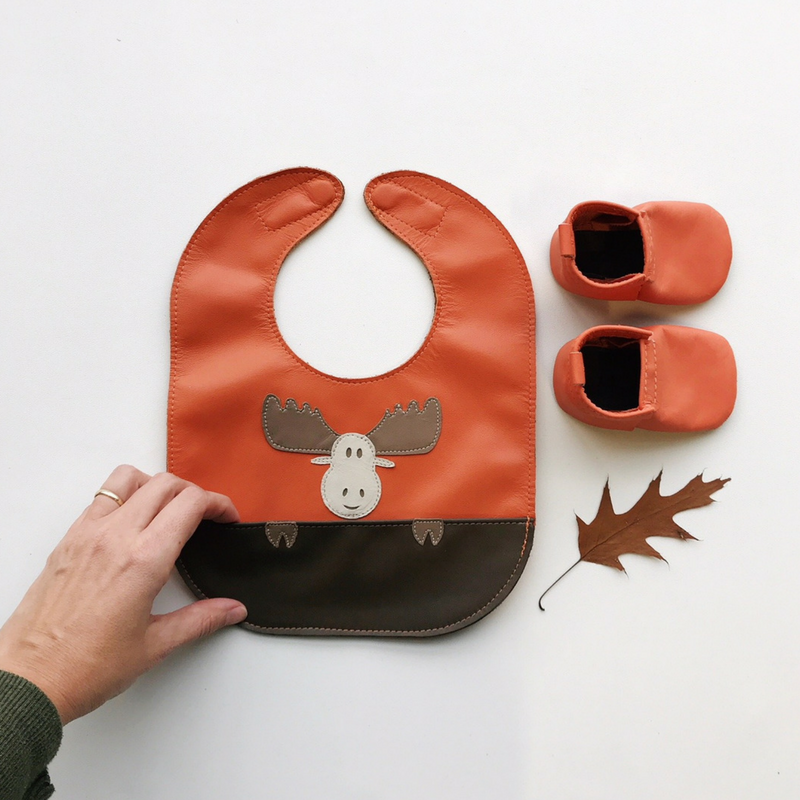 This is one of our iconic Canadian designs, and it just got a makeover! 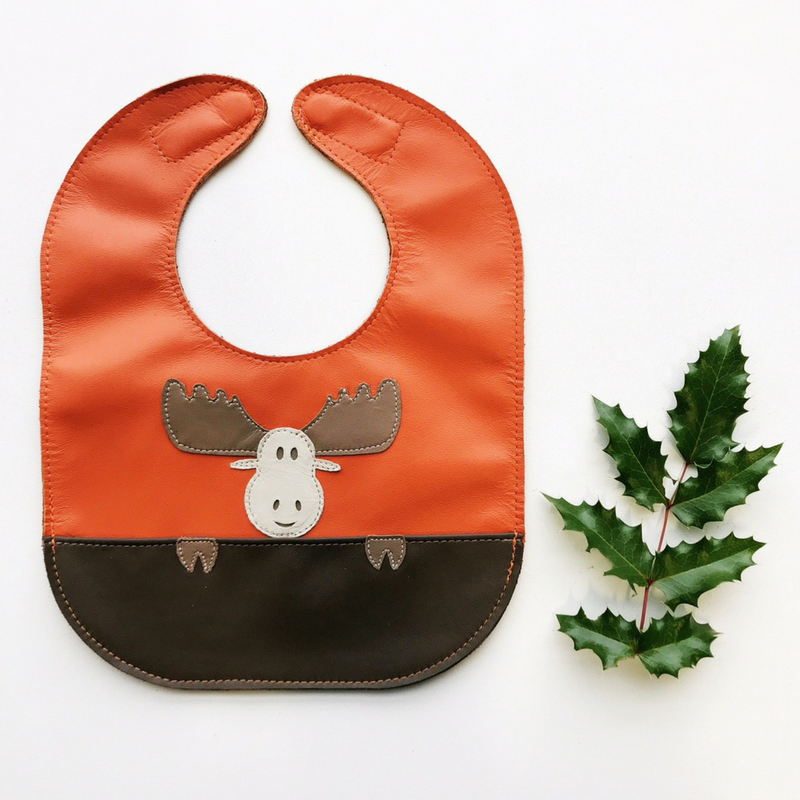 Our moose bib is now on tangerine with a chocolate pocket. 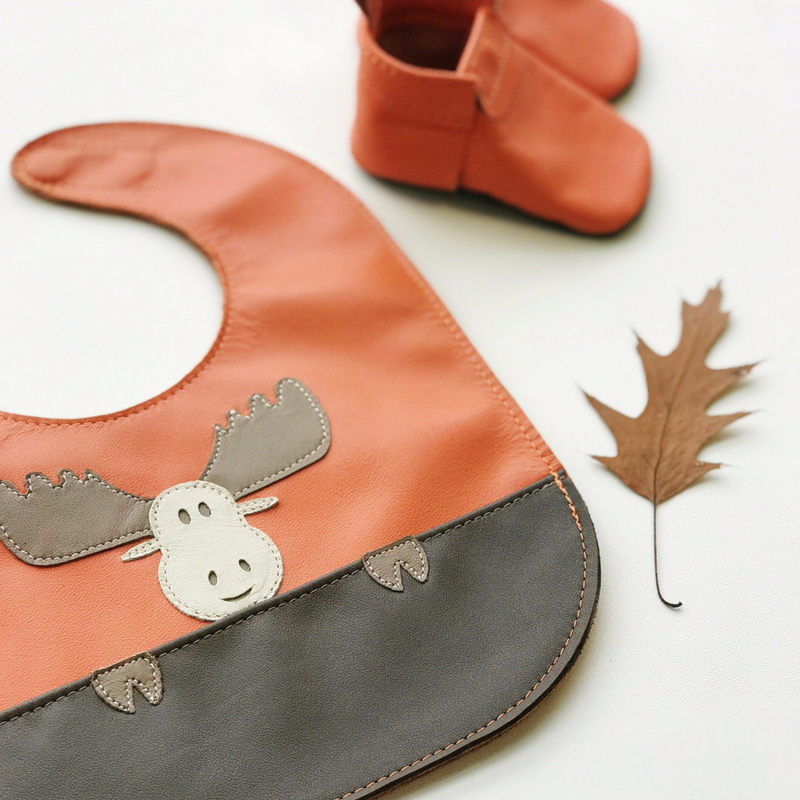 Personalize the pocket to make it extra special. 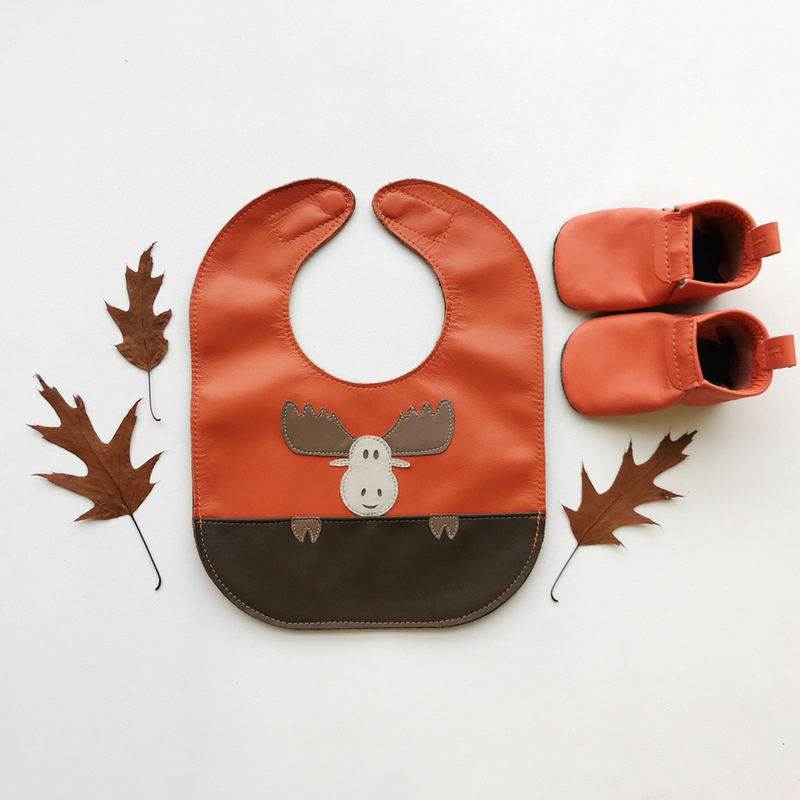 Mally Bibs are the greatest bibs out there. 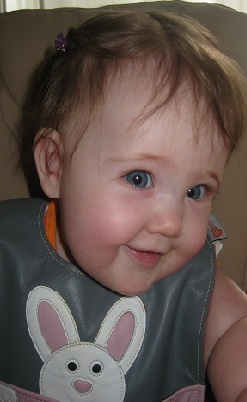 Our Mally Bib has not stained, our little girl never pulls at it to take it off, and we love it. 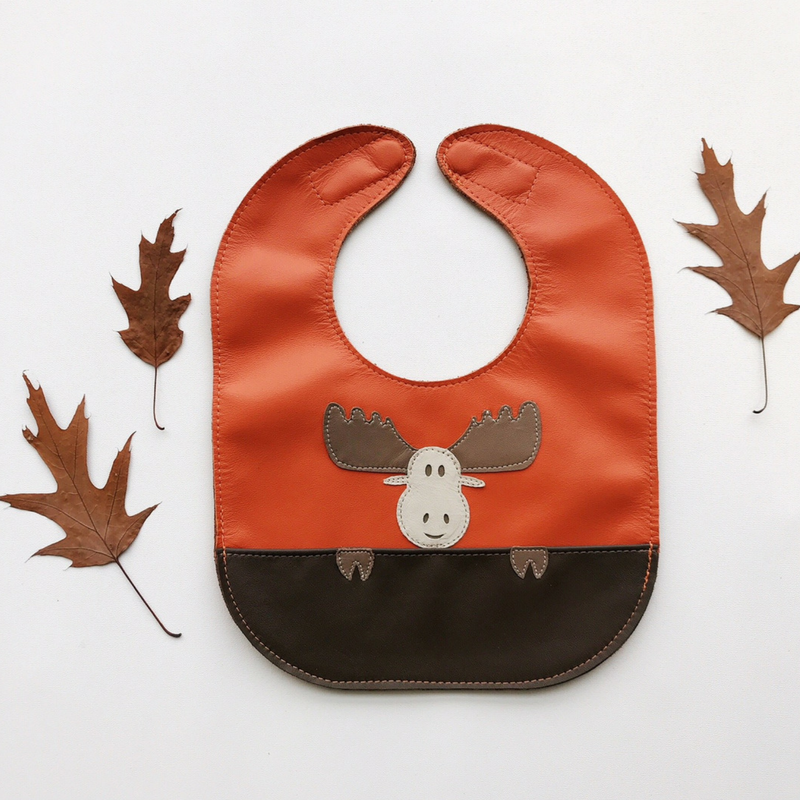 I would recommend it to everyone; it is truly the best bib out there. Thanks Mally Bibs.